In their victory speeches made at the BJP headquarters in New Delhi after the results of the Tripura elections were announced, Prime Minister Modi and the President of the ruling party promised to free India of communists...a "Communist-mukt Bharat." Modi declared that it was an "ideological victory" over the communists. BJP men in Tripura heard their leaders loud and clear. The day after the election results in Tripura were announced, a wave of attacks were orchestrated by the BJP against the Left specifically targeting the CPI(M). Till the evening of March 5th, 514 CPI(M) cadre and supporters were injured in assaults by BJP men, 1,539 houses were attacked, 196 houses were set on fire, 134 party offices were attacked and 208 party offices were captured. Many mass organisation offices also were attacked and captured. The attacks are continuing. These figures were given to the police authorities in Tripura and to the central government. In the 25 years of its governance, there is not a single instance of any office of an opposition party being burnt or captured or the kind of mass attacks on supporters of the then opposition as Tripura is witnessing today. It shows the hollowness and hypocrisy of the claims made by BJP leaders that while they believed in democracy, the CPI(M) did not. 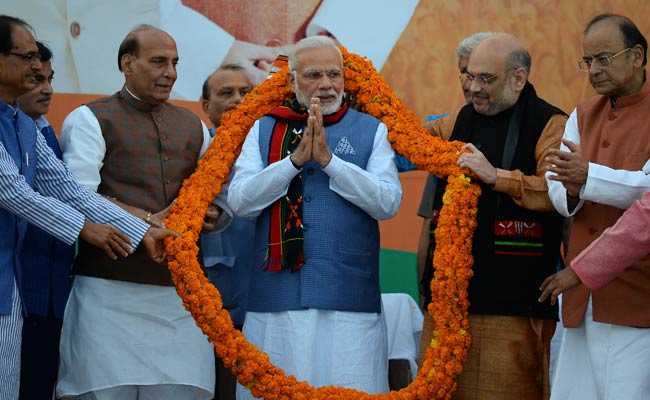 The BJP-IPFT has won a big victory in Tripura with 43 seats. 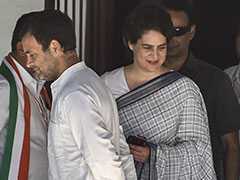 While the BJP has around 43 per cent of the vote, along with its ally the IPFT, it is around 50 per cent. In spite of its being able to retain only 16 seats of the 50 it had won last time, the CPI(M) and three Left parties, who fought one seat each, got 45 per cent of the vote. The CPI(M) will have to introspect and review the reasons. 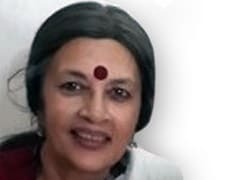 But it is to subdue and subordinate this substantial pro-Left base in the very initial phase of its rule that the BJP-RSS is resorting to such attacks and the use of methods to intimidate, bully and create an atmosphere of fear. The use of violence against communists is one method of achieving "Communist-mukt Bharat" - or so the BJP thinks. The ideological victory claimed by Modi over communists was sought to be sealed by bulldozing the statue of Lenin which had been installed in Belonia town in South Tripura in 2013. It was not a spontaneous action. A group of BJP men used a bulldozer to bring it down. 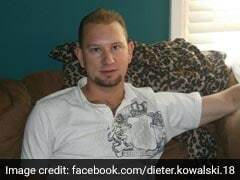 It was beheaded and it is reported that these men kicked the head around like a football. Those educated on texts written by their ideological forefathers like Savarkar and Golwalkar who glorified Nazi Germany and considered it a model worth following, acted as they were trained to, knowing that such loutish acts had the support of their leaders. The first to tweet his approval was RSS leader Ram Madhav. This was followed by the Governor of Tripura who said "one democratically elected Government can undo what another democratically elected Government did and vice versa." So according to a person who holds an important constitutional post mandated to uphold the law, the hooligans who brought down the statue were representatives of a "democratically elected government". What further evidence is required that their are patrons behind this action? Some BJP leaders have justified it on grounds that Lenin was a foreigner, a terrorist. The Russian revolution in 1917 led by Lenin which overthrew the despotic regime of the Tsar and challenged the might of imperialist powers who almost strangulated the revolution in its infancy had the most profound influence on all nations striving for their freedom including India and its freedom fighters, from Gandhi to Nehru, from Bhagat Singh to Rabindranath Tagore. Bhagat Singh was deeply influenced by the Russian revolution, reflected in the manifestos of the several organizations he led from the Naujawan Sabha to the Hindustan Republican Association which later transformed into the Hindustan Socialist Republican Association. A biographer of Bhagat Singh wrote that at his last meeting with Bhagat Singh, the freedom fighter said that he was reading about the life of Lenin and that he would like to finish it before he was hanged ("The Man and His Ideas" by Gopal Tagore) Rabindranath Tagore visited Soviet Russia after Lenin had passed away. He was a great admirer of Lenin. "If I had not come to Russia," wrote Tagore, "life's pilgrimage would not have been complete." Nehru wrote of the "great Lenin" that "although under the leadership of Gandhi we followed another path, we were influenced by the example of Lenin." The RSS and the political fronts it set up have never been part of this history, never been part of the national freedom struggle to know what the Russian revolution had meant for those dreaming and sacrificing their all for India's independence. 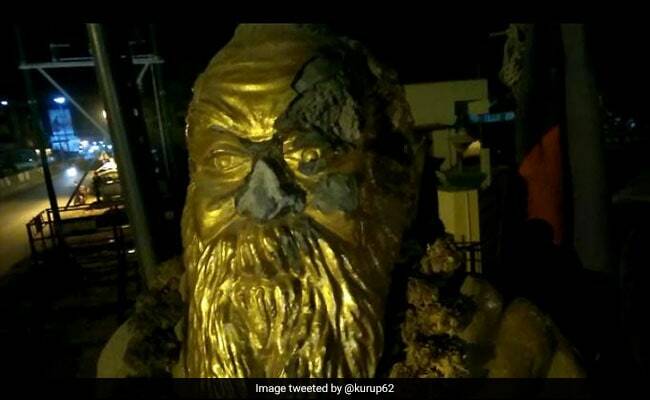 But even so, the destruction of Lenin's statue signifies more than the anti-communism which is the RSS' DNA: it shows up once again the extreme intolerance of the Sangh Parivar to any other ideology which challenges or is in opposition to the Sangh. This act should dismay not only admirers of Lenin and his legacy but anyone who believes in the freedom of expression and political debate. If the outrage is not strong enough, it is not going to stop at Lenin. Already BJP leaders elsewhere are taking the cue. In Tamil Nadu, BJP leader H Raja posted on Facebook "Today it is Lenin in Tripura, tomorrow in Tamil Nadu (it will be) casteist Periyar's statue." The legacy of Periyar, the social reformer and ideologue of the Dravidian movement, represents a challenge to the Manuvadi-based Hindutva ideology of the Sangh, thus this aggression. We know the kind of statues that the ruling regime prefers. Those of men who pledged their loyalty to the British pleading for mercy from a jail term, those of men who preached that India could never be one in the name of a fake humanism, and most recently, the statue of the man who killed Mahatma Gandhi. Did a single BJP leader publicly oppose the atrocious plan of the Hindu Mahasabha to put up statues of Nathuram Godse in their offices and temples under their control? 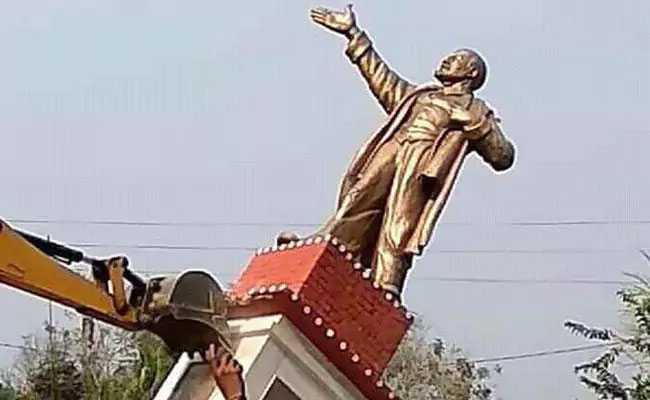 The newly-elected BJP government in Tripura should repair Lenin's statue and put it back from where it was removed. It should put an end to the violence unleashed against Left supporters. Statues can be destroyed by force, not an ideology.